Lunch & Learn Lecture series combines good food with Huntington and Long Island’s rich history. 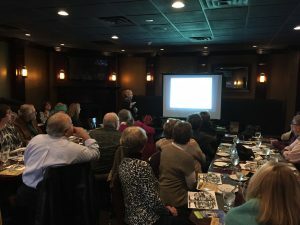 Each month features a different speaker covering a topic relating to our local history and includes a three-course meal at Black and Blue Seafood Chophouse. This month's speaker, Rhoda Miller, will do a presentation and discussion of Long Island's rich and fascinating Jewish heritage explored from a historical and genealogical perspective.